Last night the Saucy San Diegan grilled a full aquarium (squid, oysters, swordfish, salmon, cod) in honor of Amy Boo Boo’s birthday celebration, and the Hungry Texans were in charge of apps and zerts. SSD requested red velvet, so red velvet it was! 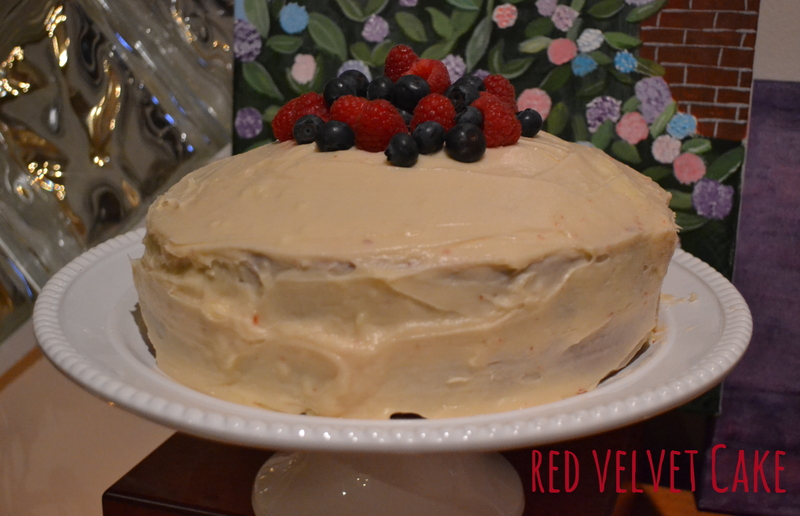 I was a little apprehensive as more often than not I feel like red velvet kind of dry, lackluster cake whose primary purpose is to make copious consumption of cream cheese frosting socially acceptable. That said, I put my biases aside and made a few modifications to a Saveur recipe that turned out super moist, flavorful, and good enough that I went straight for a slice for breakfast this morning. This cake couldn’t be quicker to whip up. Start by preheating your oven to 350. 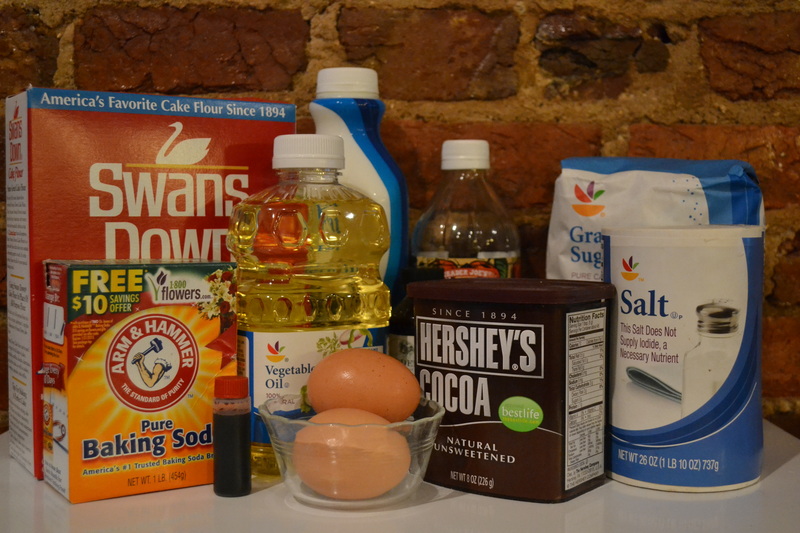 Combine all your dry ingredients – sugar, flour, baking soda, salt, and cocoa powder together in a bowl. 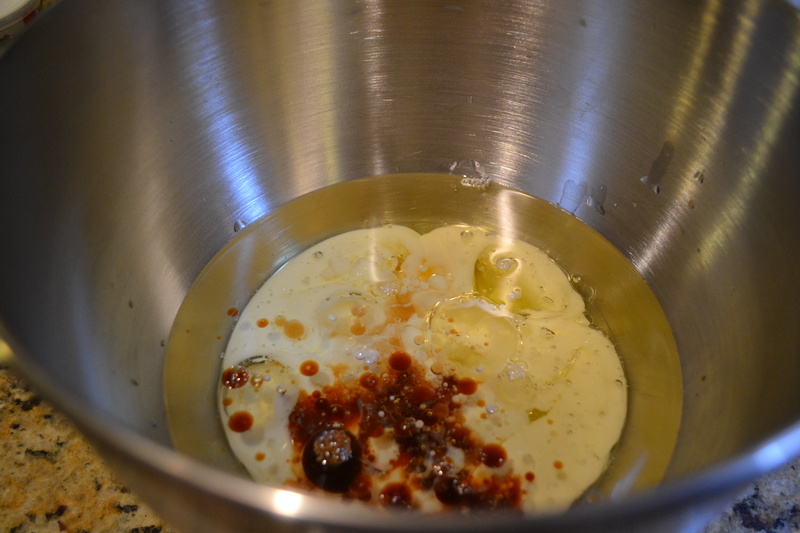 Then, in the bowl of a stand mixer combine – vegetable oil, eggs, buttermilk, vanilla, vinegar. 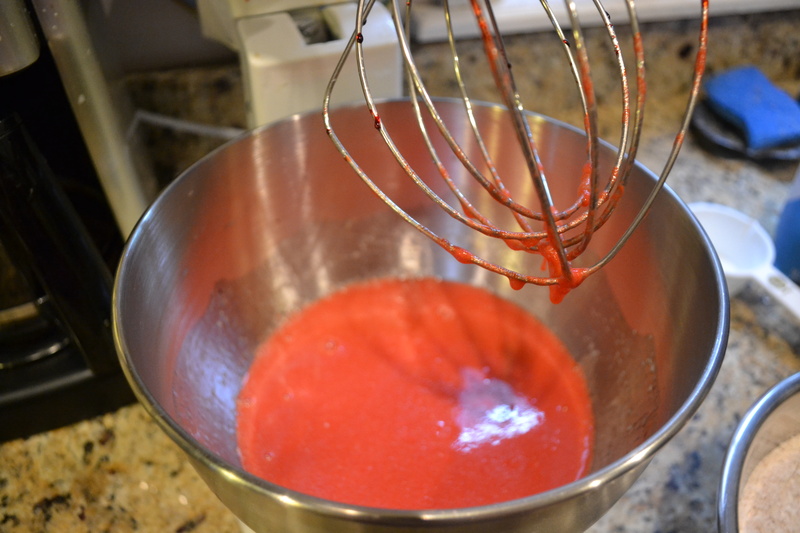 Add your food coloring and combine. 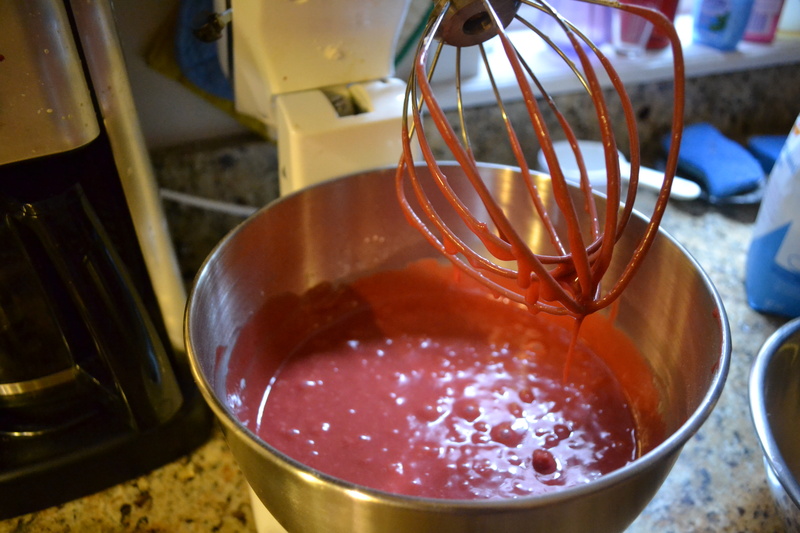 Add your dry ingredients to your sanguine red batter. 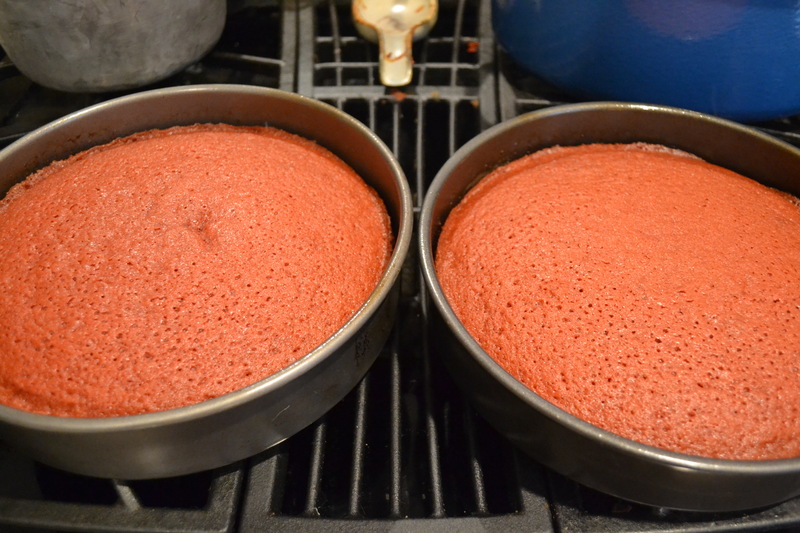 Pour batter into two round parchment-lined and sprayed cake pans. Bake for 25-30 minutes until your cakes pass the toothpick test. 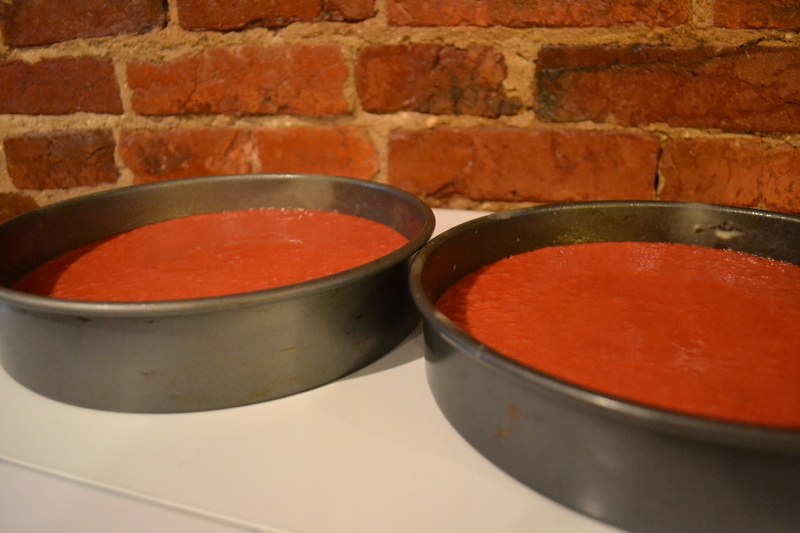 Set cakes aside to cool. 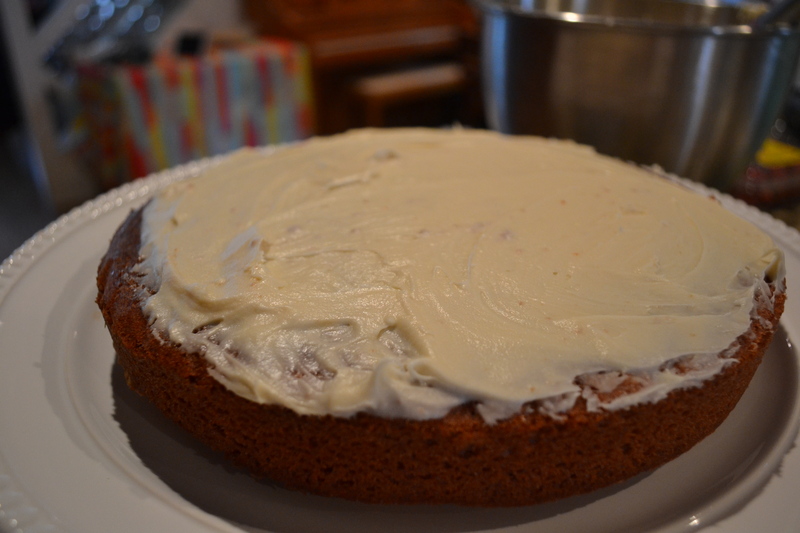 While cakes are cooling, make your icing. 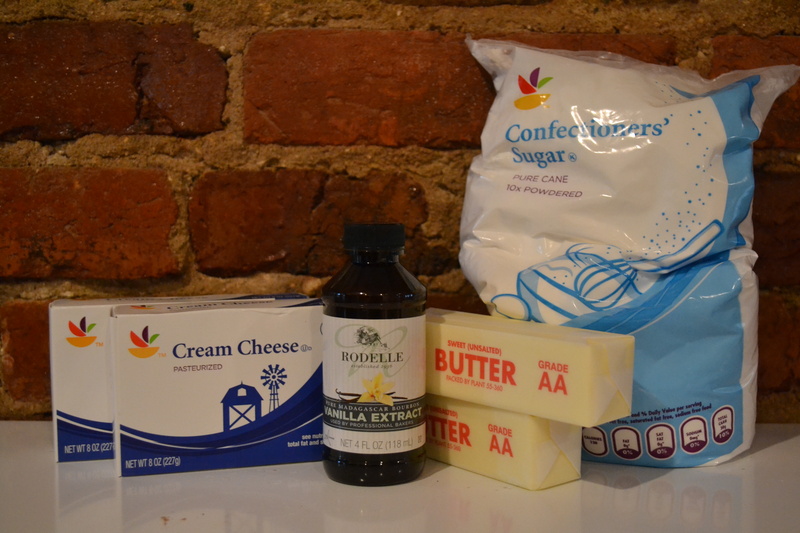 In the bowl of your stand mixer cream together butter, cream cheese, and vanilla. 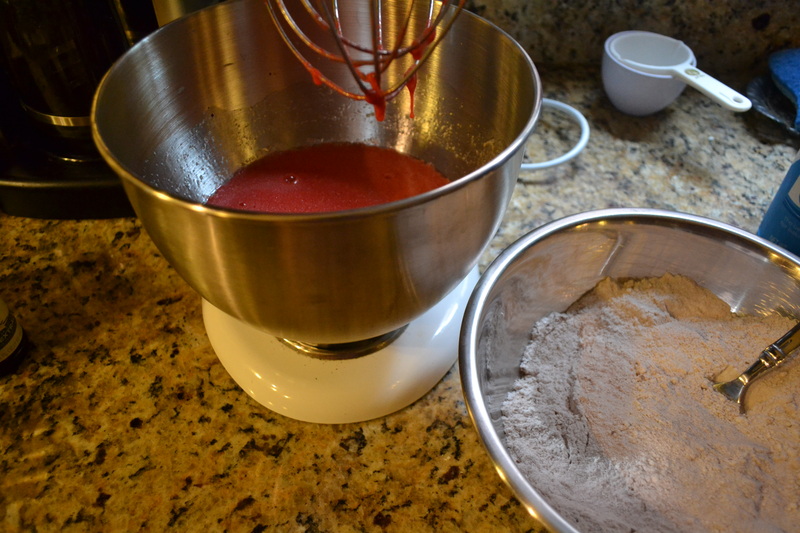 Gradually add your powdered sugar until the icing reaches the desired flavor and consistency. Assemble your cake. 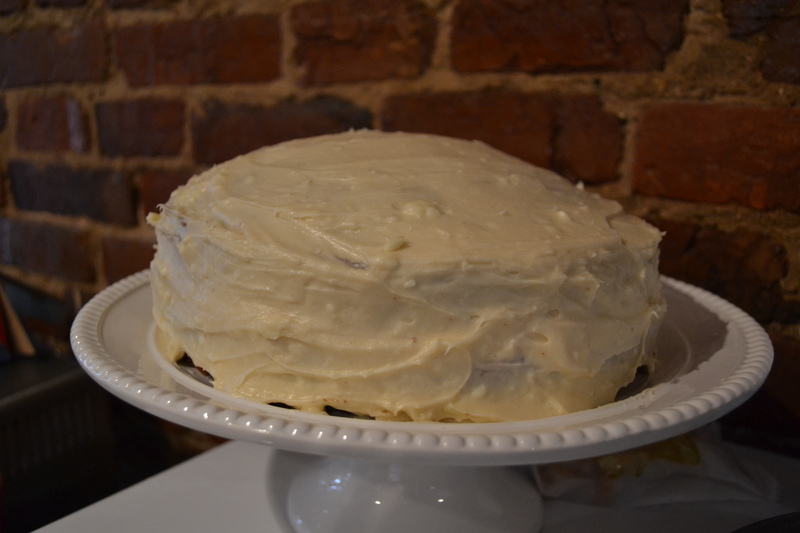 I achieved the coveted double-flip for this cake – making sure the round part was on top. 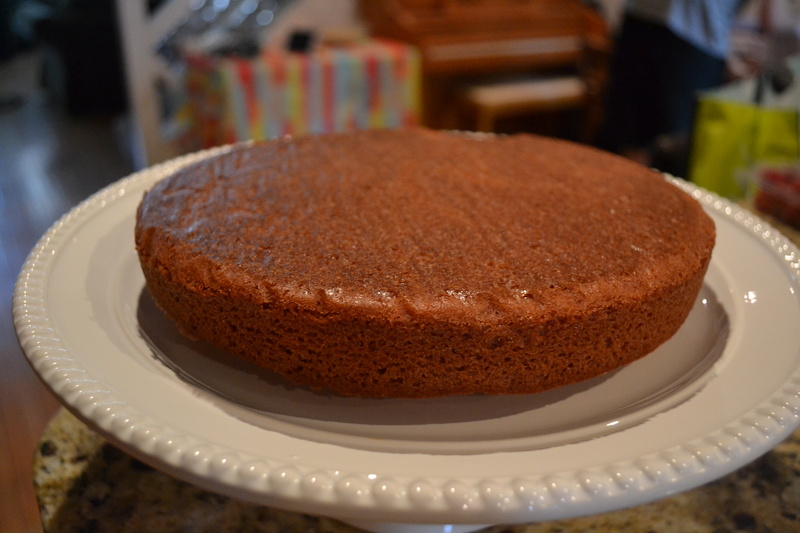 I recommend, you do your first flip onto a plate, then flip back into your cake pan, and then flip on top of your first layer. Cake flipping is a delicate art, so you do you and figure out what works. Ice and decorate as desired. 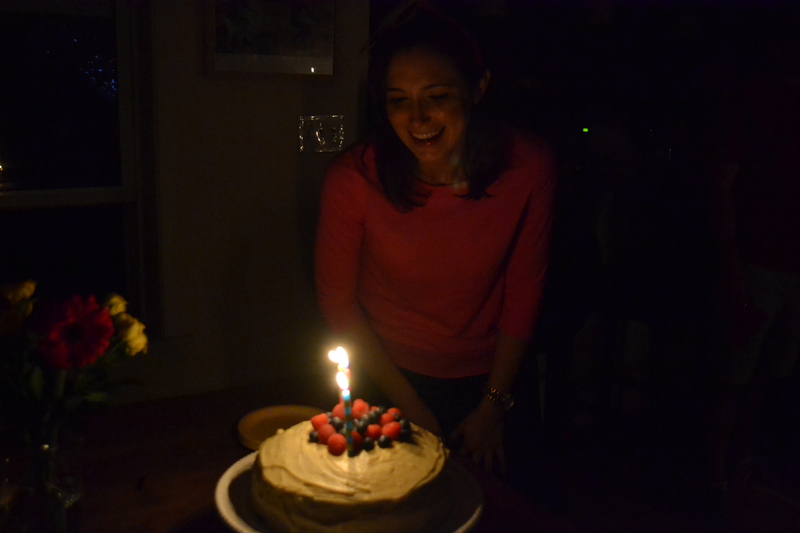 Light the candles, slice and serve with ice cream. We served with homemade buttermilk ice cream! Yum!